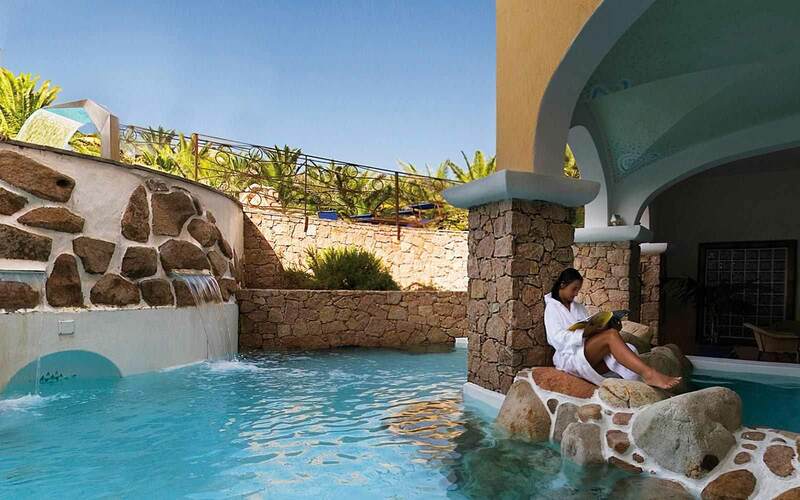 Hotel Relax Torreruja Thalasso & Spa is located in Isola Rossa, a picturesque fishermen village in the Gulf of Asinara, approximately one hour by car from Olbia and Alghero and about 40 minutes from Santa Teresa di Gallura and Porto Torres ports. 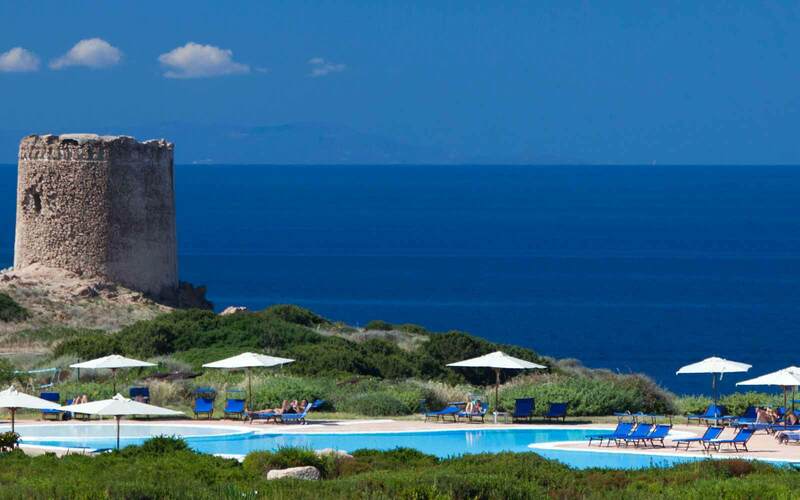 The hotel has a particular romantic glamour and it is perfect for a relaxing holiday in one of the most charming areas of the island with its small red granite port, the Aragonese tower, the amazing seafront promenade and the wonderful beaches. 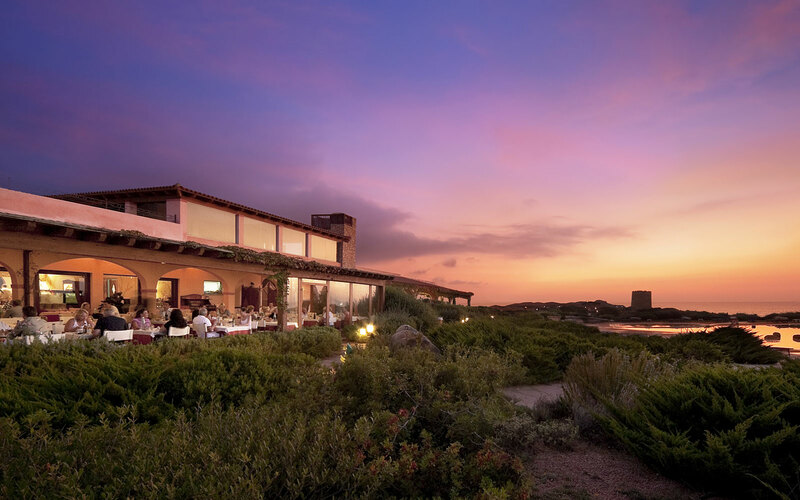 The Hotel Relax Torreruja is positioned not far from the little shops and the promenade of the village, in an ideal panoramic position where, in complete privacy, you can look at a beautiful landscape and admire the marvellous red sunsets of Isola Rossa. A buffet breakfast is service on the panoramic terrace of the main restaurant. 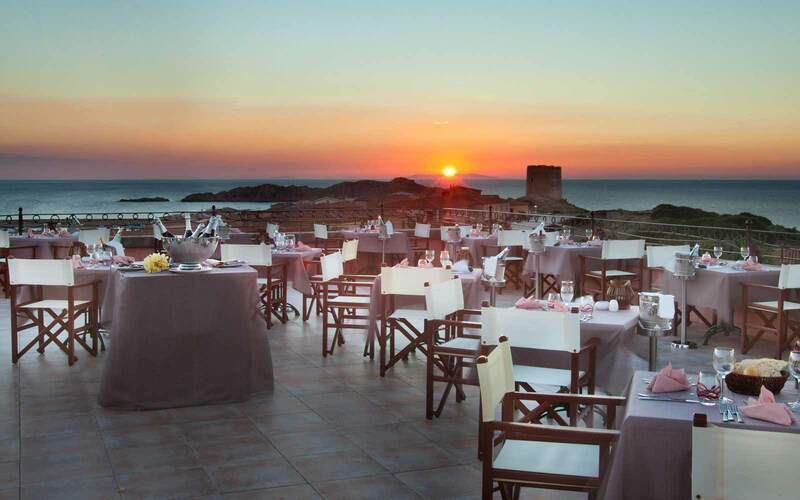 Restaurant ‘Tramonto Rosso’ offers a varied show cooking buffet of Mediterranean and typical Sardinian cuisine. On the terrace of Restaurant ‘Sotto le Stelle’, one can enjoy table service or candle-light dinner in a romantic setting with wonderful sunsets (by reservation with local supplement & open at the discretion of the management). 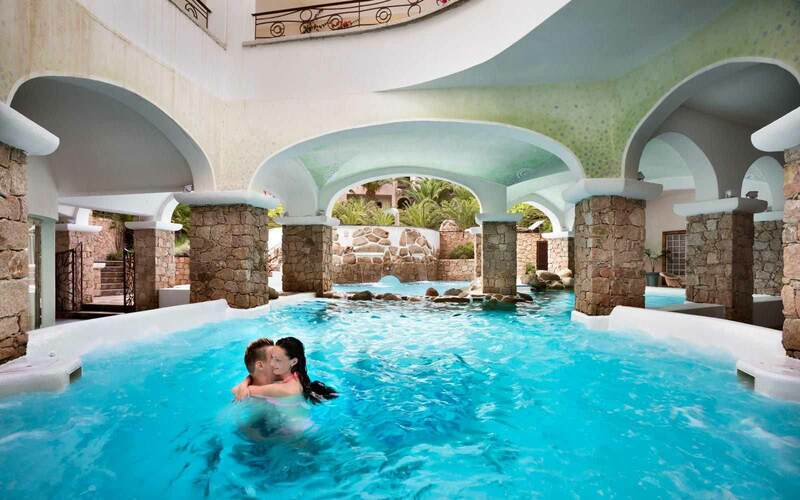 After dinner, guests can enjoy the piano bar or one of the occasional shows, which take place around the pool. 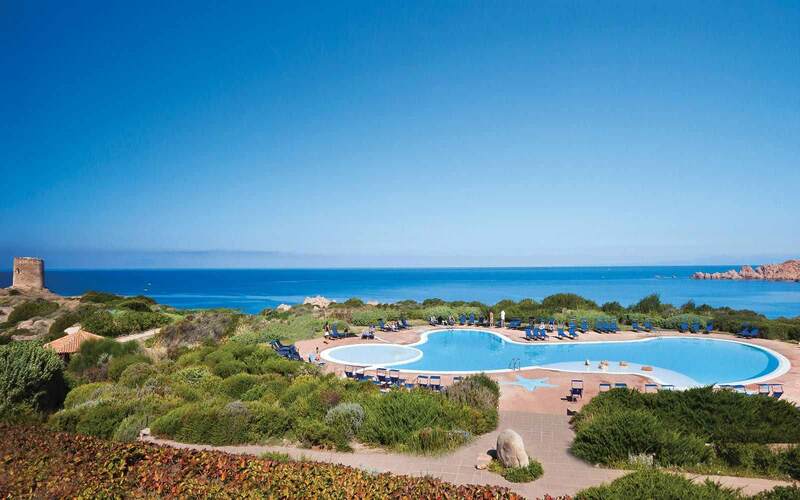 Lunch is available at the pool-side snack bar "Nord Ovest", which offers delicious fresh snacks, cold dishes, pasta show cooking, wonderful pizzas and tasty grilled food cooked on a wood-fire oven. Gluten free meals available (on request at time of booking). The opening of restaurants and bars is at management discretion. 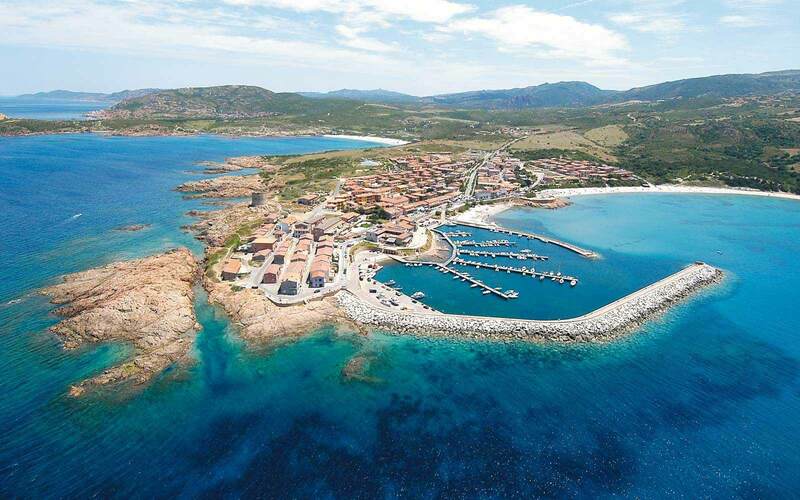 Approximately 200m from the hotel, are the fine sandy beaches of Isola Rossa, "Longa" beach and "Nuova" beach, where sun-beds and parasols are available for hire (at local cost). 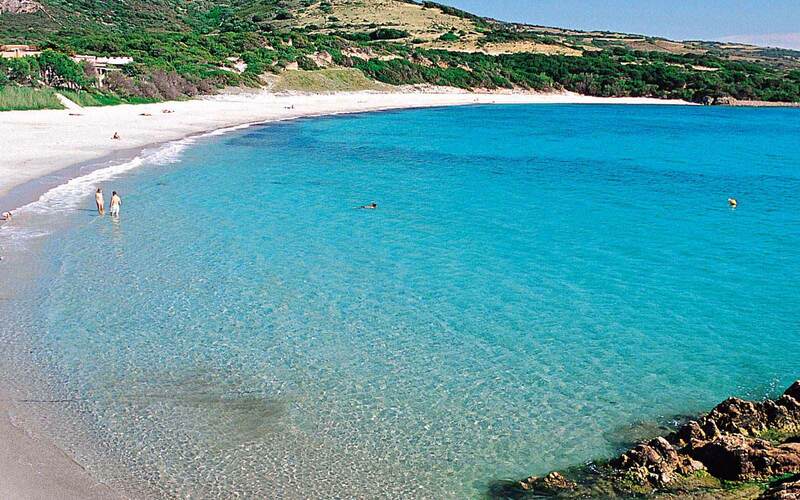 The wild and unspoilt beach of Marinedda is reachable on foot 800m away, along the natural paths which follow the coastline. Just a few steps from the hotel are many secluded coves equipped with wooden bathing platforms with mats and parasols. 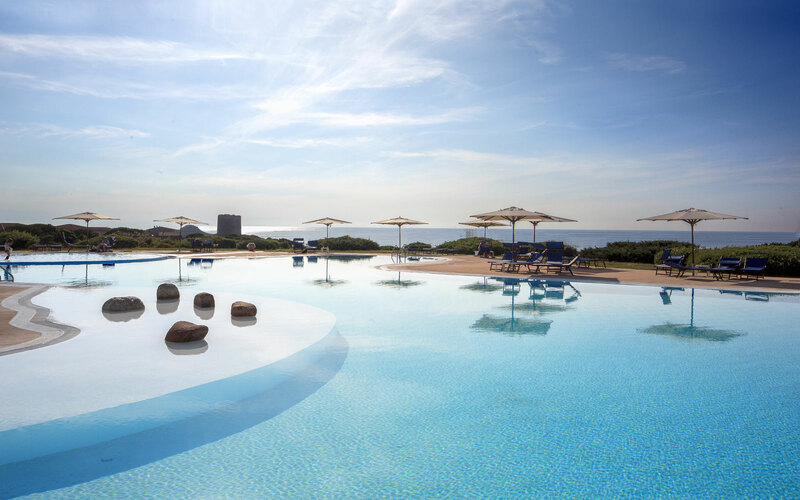 A large, seawater swimming pool is located in the lovely Mediterranean gardens overlooking the amazing seascapes, complete with, sun-beds, pool attendant and bar. 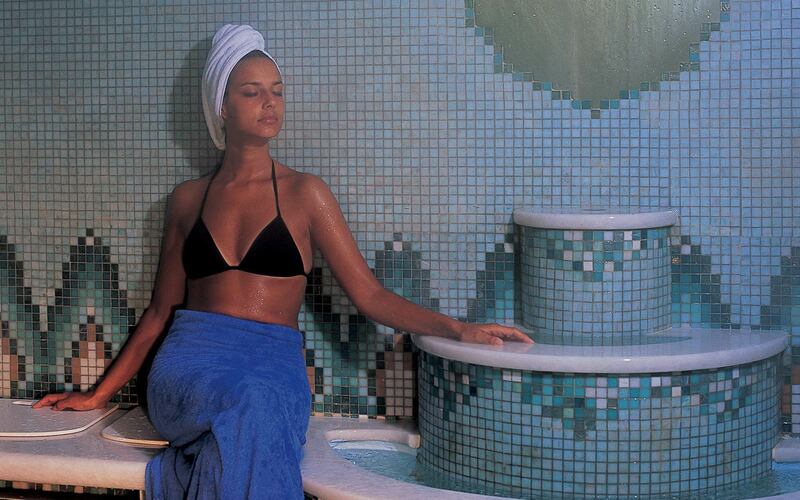 The Centre Thalasso & Spa ‘Venere’ has heated seawater multifunction Thalasso pools of differing temperatures and several cabins for treatments. 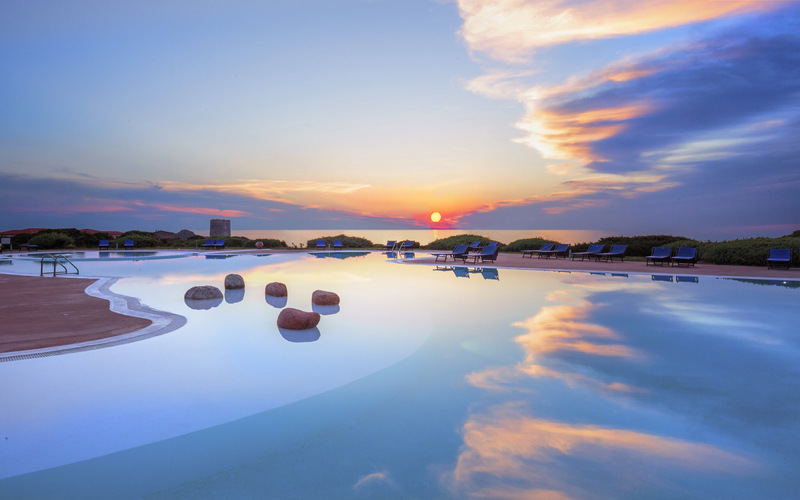 On offer are, seawater treatments, sauna, Turkish bath, massages, beauty treatments, cardio fitness room, lounge serving refreshing herbal teas, relax area with solarium. (all at local cost). Access is not allowed for children under 14 years old. Children over 14s are permitted only if accompanied by an adult, or are in possession of written parental authorisation. The centre is open 6 days a week, in the afternoon. * A medical certificate is required, providing evidence of fitness for treatments & the use of equipment. 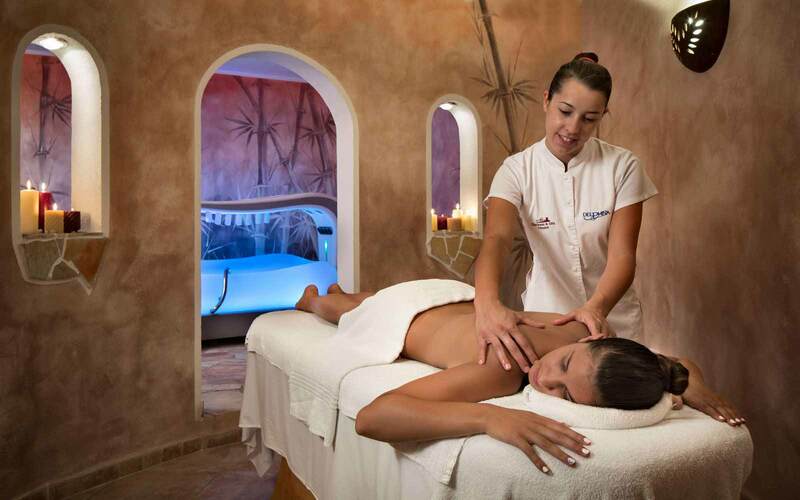 Alternatively, an appointment can be arranged for a medical professional to visit whilst in resort (at local cost). For children aged 4-11 years there is free child assistance, which offers activities with one or two animators (operates from 12June - 02Sep from 09:30 to 12:30 and again from 15:30 to 18:30 6 days a week). 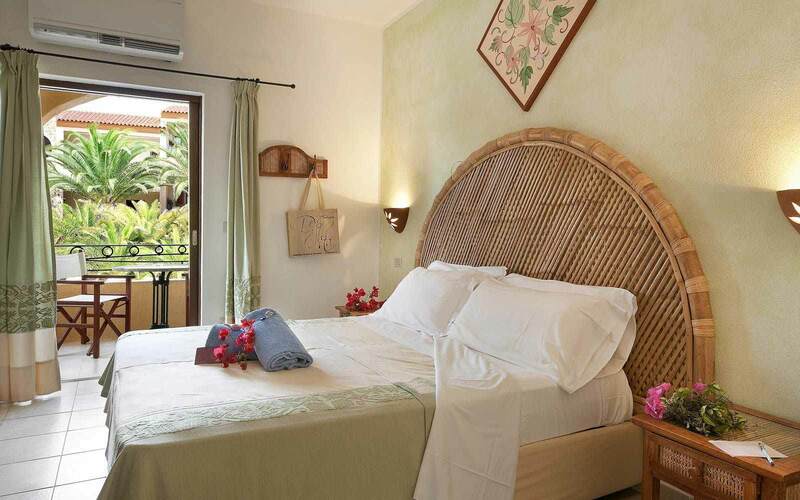 The Hotel comprises of 124 comfortable guestrooms, located on the ground or upper floors and decorated in typical Sardinian style and colours. Standard: Double bedded room plus Cot only. Standard rooms for sole use available. 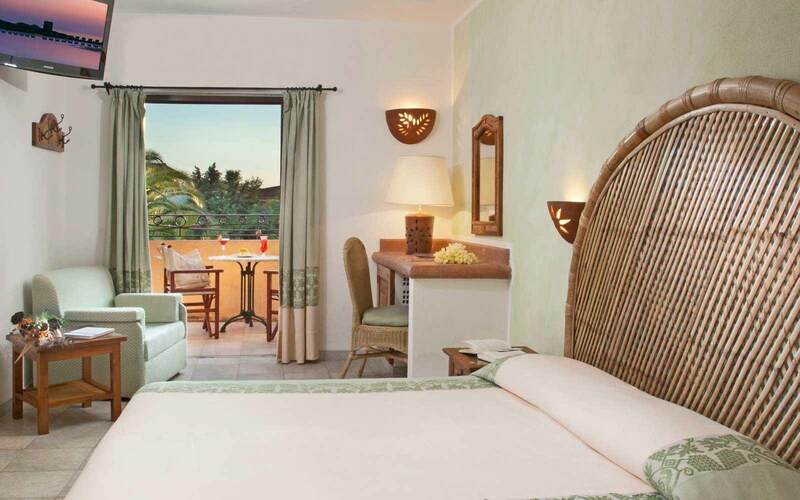 Deluxe: Double bedded room plus two single sofa beds, capable of accommodating two children up to 5 years. Relax Family: Double bedded room with door leading to a lounge area, with two built-in single sofa beds (or a second twin bedroom), capable of accommodating two children up to 13 years. Suite: Prestigious rooms with double bed, plus a separate lounge area with built-in sofa beds or single sofa beds, capable of accommodating two children up to 13 years. Large verandah. Bathrobes for adults. Sea view Suite available at a supplement. Gran Relax: Unique room, double bedded, large terrace with panoramic views. Bath robes provided for adults. Cot only. Gran Relax connecting to a Standard room (availability and price on request). 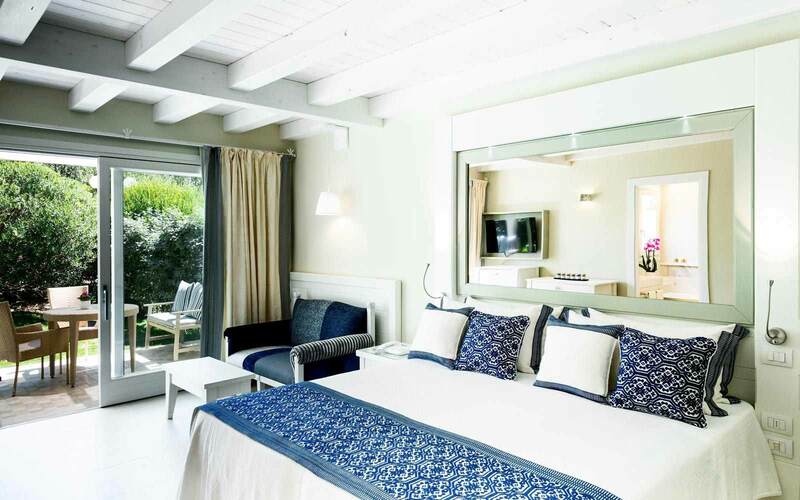 Relax Family Special: Larger than the Relax Family, this room type comprises of a double bedroom with an open-plan lounge area, with two single sofa beds, plus an additional bedroom with twin beds. Two shower rooms (one is en-suite). Capable of accommodating four adults & two children up to 5 years. Limited availability. 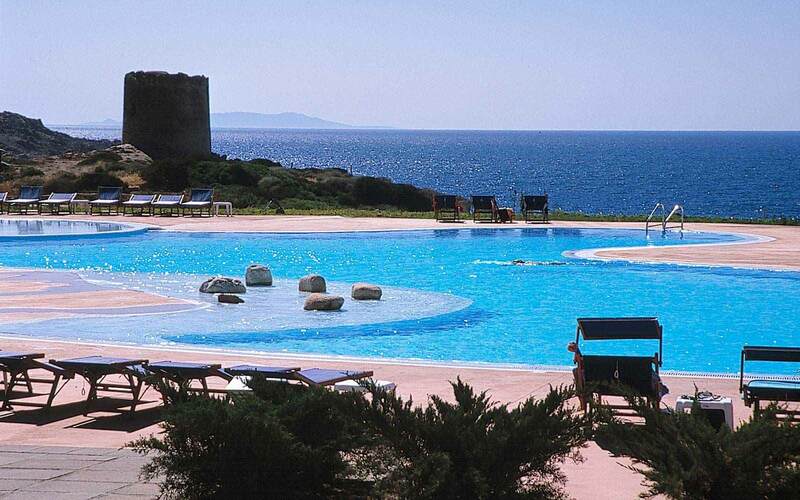 Junior Suite Executive Sea View: composed by a unique and wide space with a panoramic terrace over the Asinara Gulf and Hotel's pool. Bedroom with double bed (twin beds on request) and sofa bed for two people. 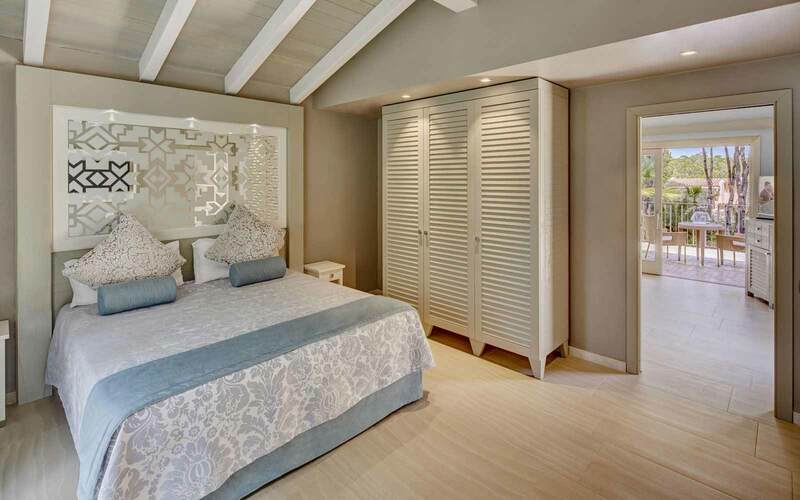 Master Suite: Exclusive suite with double bedroom & second bedroom with one or two single beds. A separate lounge area offers single sofa beds or built-in sofa beds. Capable of accommodating four adults and two children up to 13 years. Sea view Master Suite available at a supplement. 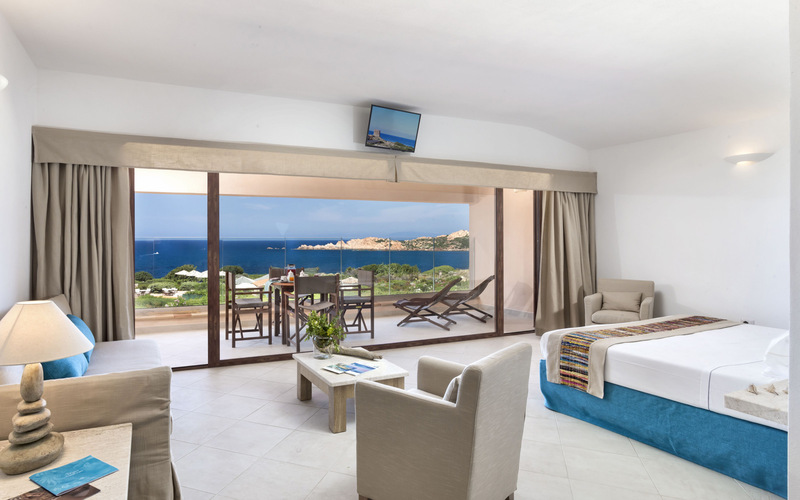 President Sea View: Elegant suite with double bedroom & large open-plan lounge with two single sofa beds. Second bedroom with its own shower room. Large furnished verandahs with sea views. Bathrobes provided for adults. This suite can accommodate four adults and two children up to age 13. All rooms offer: furnished verandah or balcony, shower room, hair dryer, air-conditioning, telephone, satellite TV, safe, mini-bar. Beach towels are also provided. 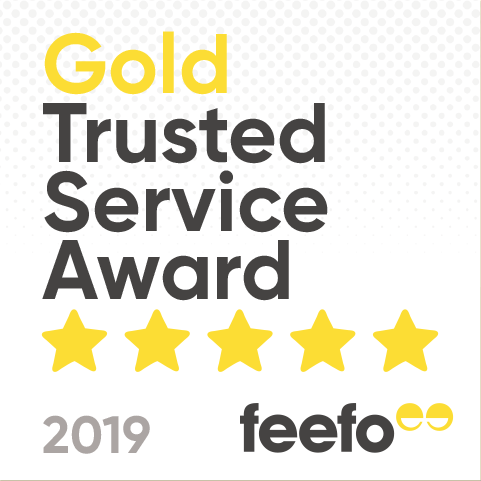 'We stayed for a week at the end of July and thoroughly impressed by the hotel.